Upon the close of Round 4 here in Dungog, New South Wales, the podiums featured a world class line-up for the 2019 Yamaha Australian Off-Road Championship (AORC) E1, E2 and E3 classes. Under a glittering sky and rolling atop pristine conditions, riders rode three laps each of the WR 450F Cross Test and Off-Road Advantage Enduro Test. Coming out victorious in ‘The Gog’ for Round 4 was Daniel Milner (KTM Enduro Racing Team), Daniel “Chucky” Sanders (Husqvarna Enduro Racing Team) and Luke Styke (Active8 Yamaha Yamalube). After a tussle with Milner across the weekend, Chucky emerged from Dungog with the fastest time overall for Round 4. With arguably the strongest competitive field in the Championship, Round 4 served another day of tumultuous racing as the likes of Styke, Michael Driscoll (Active8 Yamaha Yamalube), Lyndon Snodgrass (KTM Enduro Racing Team) and Fraser Higlett (Husqvarna Enduro Racing Team) tore across the Barrington Tops. Finishing on top after two days of Enduro racing, challenging mind and body, was a blaze of white and signature Yamaha blue as Styke clocked in the fastest time for E1. With a total time of 31:16.300, Styke remained a steady and dominant force in ‘The Gog’, reinforcing his prominent goal of representing Australia at the 2019 FIM International Six Days Enduro (ISDE). Taking the silver on Sunday and missing his signature 2018 mullet was Higlett, who has left Toowoomba and the lack of a podium position in the proverbial and literal dust. With two consecutive podium positions this weekend, Higlett appears to have regained his undeniable speed and ferocity from last season. Clinching the final podium position for Round 4 was Styke’s teammate and Dungog local, Driscoll. Trailing Higlett by just over 16 seconds, Driscoll finished the day with a total time of 31:41.353. Reflecting on the weekend past, Styke stated “today went well! It was a little inconsistent with some mistakes and crashes, but all in all I’m happy with how the weekend went. In a league of his own streaming across the Barrington Tops like a stream of KTM orange, Milner took out his fourth consecutive class win for E2. 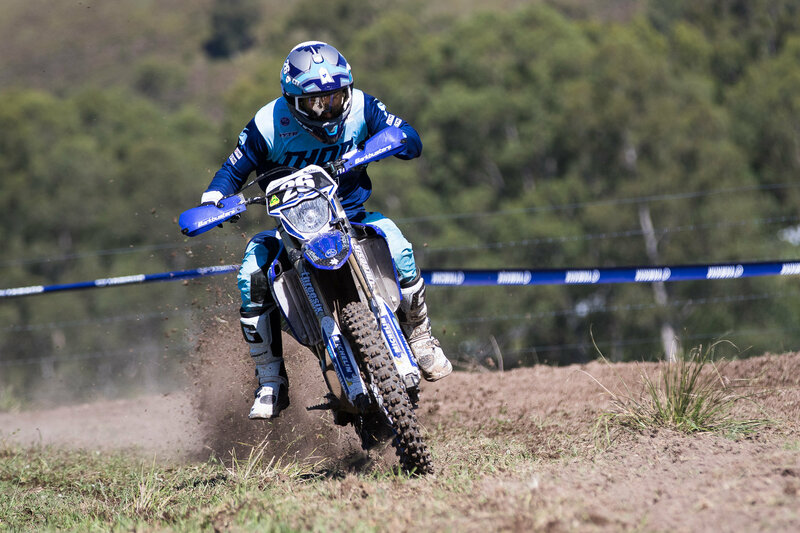 With a total time of 30:09.624, Milner used Dungog’s perfect conditions to his advantage, producing a Picasso masterpiece after two back-to-back Enduro formats. Hot on Milner’s heels all weekend was Active8 Yamaha Yamalube’s Josh Green, with a total time on Sunday of 30:50.452. With a wealth of experience behind him and talent to boot, Green couldn’t be stopped on his campaign to preserve his podium real estate. The third and final podium position was awarded to Jeremy Carpentier (Yamaha MX Store Ballards Off-Road Team), with a total time of 32:08.979. “A few mistakes cost me today. I didn’t get it together as well today as I did yesterday. I got caught out on some grass sections but apart from those mistakes I really enjoyed the day in Dungog. The club here always put on a good event which made for an exciting weekend full of close racing,” explained Milner. “Overall I’m pretty disappointed with my riding today and will definitely leave today with a better understanding of what I need to work on in the break before Kyogle. Of course, though I am really pleased to finish the weekend here in Dungog with two class wins! Like Milner, Chucky was playing a different ball game this weekend, finishing ahead of his E3 class rivals by just shy of two minutes. Barrelling into corners at top speed, Chucky had a point to prove as he left his 2018 Dungog experience well and truly in the mud. “Sunday was a good day! I came out of Saturday feeling positive, so I wanted to push straight away in Round 4. I didn’t ride the grassy cross tests as well as I had hoped, so I worked really hard on that all day and finally scored a good run on the last loop,” highlighted Chucky. “The Enduro test was great. I just had to hit my markers and overall, I was really happy with how I went. There were a lot of positives after Toowoomba, but I still have a lot of work to do before Kyogle. Holding onto second place once again here in Dungog was Husqvarna mounted Beau Ralston. With a total time of 32:00.991, Ralston was at home on the tight technical Enduro tests and fast flowing, grassy Cross tests. Taking home the bronze for Round 4 at ‘The Gog’ was Andy Wilksch (Motul Pirelli Sherco Off-Road Team), with a total time of 32:06.269. With an unrelentingly positive attitude both on and off the bike, Wilksch remained steadfast in his campaign to clinch a podium position in Dungog. Our AORC EJ class results are currently being manually verified and will be released in the next 24 hours. 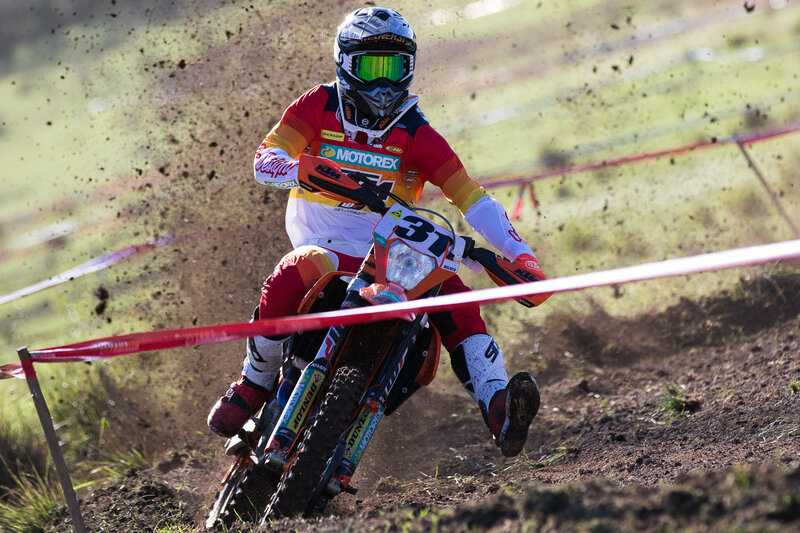 Dungog marks a three month break for the 2019 AORC competitors, who return for Rounds 5 & 6 in Kyogle, New South Wales from 20-21 July. In the meantime, stay updated on all things AORC and Off-Road by checking out AORC.org.au, Facebook and Instagram, and be sure to follow the Official AORC hashtag, #only1roadoffroad!